Family traveling is always so much fun but as we all know, it can get expensive. If you are like us, you first start with a budget for your adventures and this budget largely is taken up by transportation cost. Worry not, Mommy And Me Travels has collaborated with international family travel experts to bring you tips for saving on transportation cost around the world. We are sharing with you the tops 3 Money Saving Tips for Transportation in all categories (plus a bonus 3 for the most expensive, Air Travel). 1. Regina from Full Time Field Trip saves money by redeeming reward points for FREE fares. 2. Annette from Tips From A Typical Mom blog saves money by signing up for airline credit cards. 3. Kris from Gadsventure saves money by being flexible on travel dates. 4. Here at Mommy And Me Travels, we save money on Air Travel by maximizing the airline alerts. Finding deals on flights can be a game of patience and waiting. Here are just a few ideas that will get you started on saving on your next family flights. Sign up for all the email alerts. This allows you to quickly know when an airline has a flash sale. Don’t miss the buying opportunity, be ready to click buy at a moment’s notice. Focus on one airline alliance. This will maximize your flight miles for future free flights. Want more flexibility to build miles, check out travel credit cards that allow you to earn miles for every dollar you spend. We are currently loving the travel perks and the miles we get to accumulate from our credit card. 5. Deborah from World Wise Kid saves money booking airline tickets far in advance. 6. Melissa from Disabled Disney saves money by shopping around. 1. Nikki from Yorkshire Wonders uses perfect ticket purchase timing to save money. “We are always very keen to save money on getting to our vacations. Here in the UK train tickets are not terribly cheap but there are some ways in which you can save money. Firstly, the timing of when you book train tickets is important. Aim to book at around 12 weeks from the point of travel, this is when you will find the best prices. Too far in advance and too short notice mean very expensive tickets! Always check the price of return tickets as well as singles as sometimes one type is better value than the other. Consider investing in a railcard. We recently bought a ‘Friends and Family’ railcard that gives 60% off for kids and 30% off for adults when travelling together. The card is valid for one year and can save you money right from the very first trip. Lastly, do check both standard and first class fares. Sometimes first class fares are not much more expensive than standard and you could receive perks in first class (such as free food and drink) that makes the upgrade actually better value.” Visit her post What you get in Virgin First Class for first had ideas. 2. 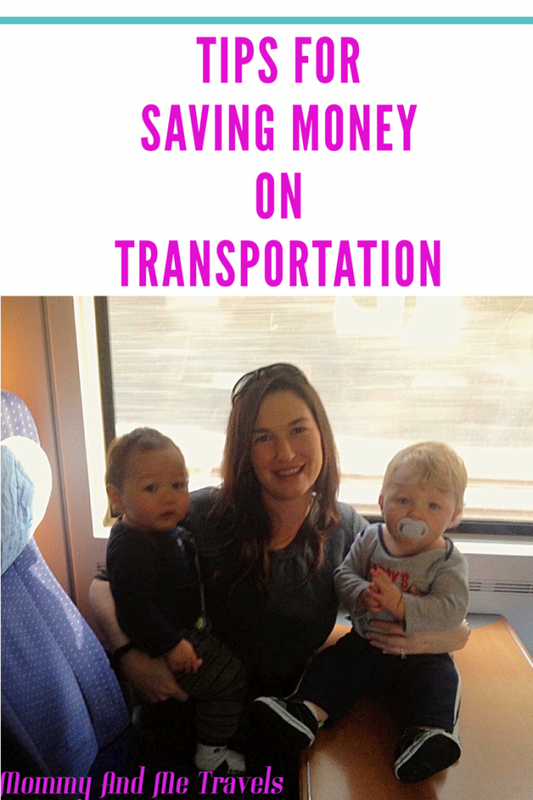 Here at Mommy And Me Travels, we save money by using the Train for travel. We also like to get creative and think outside the box when finding ways to save money. Instead of flying, look at taking the train/amtrak to your adventure location. This will add to your children’s trip enjoyment. In many cases, you can buy a first class train ticket for the fraction of the cost of a plane ticket per person. (Check out location specific train options: EuroRail, Bahn.de, and/or HeathrowExpress.) That means you can save even more money if you buy a regular class train ticket and still have the enjoyment of relaxing and socializing while traveling. Of course, this only works if you are staying on the same continent. But, if you are looking to save money, same continent travel can save you hundreds by taking the train. I bet you will be presently surprised at how much you and your family enjoy taking the train. 3. Deborah from World Wise Kid saves money by using trains to move around from town-to-town. 1. Annette’s blog, Tips From A Typical Mom, recommends renting a car at your location. 2. Kirsty from World For A Girl saves money by using ride share apps. 3. Shannan from Captivating Compass saves money by helping the rental car companies relocate vehicles. 1. Shannon from Grab My Passport saves money driving as often as possible. 2. Melissa from Disabled Disney recommends watching gas prices. 3. Sarah from State By State saves money through an in-depth planning session before hitting the road. “When you travel to a big city, transportation can get expensive. Gas, parking, and vehicle maintenance all cost more. Taking time to plan for how you will get from place to place is important if you want to save money. Many large cities have great public transportation, but when you have a family of five, like we do, those tickets sure do add up quickly. We have found that by traveling on certain days of the week or times of day, you can save money because kids might ride for a discounted rate or even for free. Another excellent money saving tip is to check the parking garages’ rates. Sometimes the prices between parking garages vary greatly. In Washington DC, we found a place we could park all day for only $10, while other places were charging $22 for four hours. We also like to take advantage of free trolley’s and shuttle buses too. These are great for saving money on gas and also let everyone enjoy looking around at the sites instead of having to focus on traffic in an unfamiliar city. Knowing how you will get around will not only save you money, it will save you time because you won’t be driving in circles trying to find a place to park or wandering around trying to find the right shuttle stop.” Visit her blog post on how a family of five toured our nations capital city for under $80 a day, https://statebystate.net/washington-dc-on-a-budget-how-a-family-of-five-toured-our-nations-capital-city-for-under-80-a-day/. 1. Sarah from Dandelion Seeds uses foot power for transportation to save money. 2. Yamy from GoFamGo uses complimentary Airport Transfers to save money. “Most hotels offer complimentary airport transfers or have some form of shuttle service for a certain fee. Take advantage of this perk and make sure to check ahead for price comparisons with renting a car instead. A complimentary shuttle service from your hotel gives you one less thing to worry about especially if you’re unfamiliar with the locality. Ensure that you communicate your needs to the hotel prior to arrival. Let them know how many are in your traveling party and when to expect you. Going to Walt Disney World, for example, is an expensive family vacation. One way to save money while in Disney is to make use of their Disney Magical Express, a free shuttle service from Orlando International Airport to their resorts. They also have other forms of transportation like the ferry, the monorail and the bus within the campus. 3. Deborah from World Wise Kid save money by discovering places through walking. Don’t let the cost of transportation hamper your ability to build family memories via traveling. Use some of these tried and true money saving tips for transportation when planning your next family vacation and adventure. You’ll also find this post from the Family Voyage on How To Travel With Car Seats to have valuable information for traveling with kiddos. Join us next week as these fantastic ladies bring you tips on Choosing Accommodations. 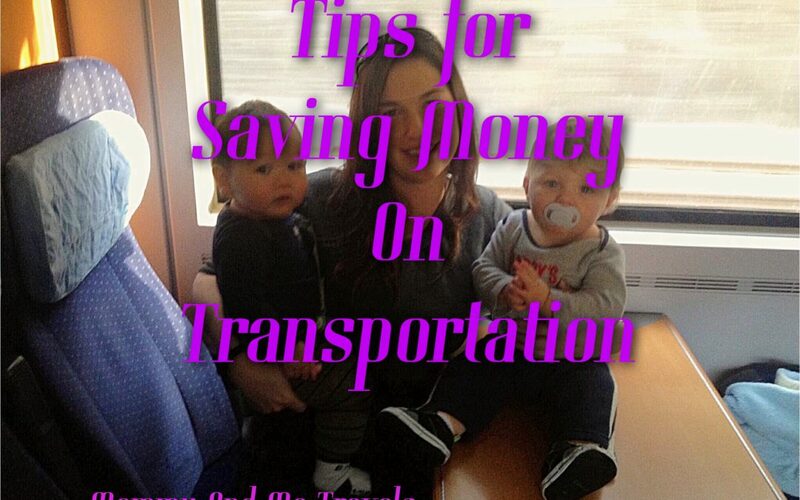 These are great ideas for saving money on transportation. I can incorporate some of these while travelling especially to get around on foot like what Sarah and Deborah suggested. I am grateful for your post which provides me with previous tips on how to save on travel. Thanks for sharing. So many wonderful ideas! We travel often within the US since we live in Texas and my family is in Florida. We typically fly the cheap airlines to a larger city, then rent a car to drive to my parent’s house. There’s an airport closer to them, but it’s often triple the cost to fly there rather than two hours away. But, when possible, we drive. We just did a 15-hour drive to Colorado Springs for spring break. There were 7 of us on that trip, so flights would have been astronomical. Using airlines credit card and booked the tickets far in advance are the ones that we have tried so far. Thanks for coming up with the extensive list! These are all great tips! I do a lot of these but some of them I hadn’t thought of… will definitely use more of them in the future! This is a great list of money saving tips! I will definitely be using some of these for my next adventure. I don’t travel much, trying to save to buy our own house. Once we have that established, I will definitely refer back to this as I’m sure we’ll start traveling. We have family in Utah, Indiana, Michigan and Texas that we’d love to travel to see.